Line voltage single circuit switching (single pole, single phase) when used with B.E.G. Controls PP-1-J or PP-A-J sensor power pack. Low voltage momentary contact (normally open) push button input. Optional for Automatic-on (Occupancy) mode, required for Semi-Automatic-on (Vacancy) mode. 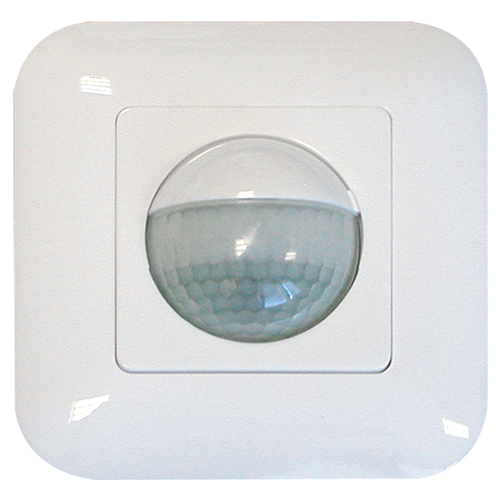 The detection coverage area can be expanded by connecting an additional GOLF wired as a secondary sensor. Up to 5 GOLF can be connected as secondary sensors to a primary sensor. Mounts in included 67mm plastic electrical box. RJ-12 to Terminal adapter cable for use with B.E.G. Controls power packs and cover assembly is included. Mechanical adjustment of setting parameters.